Vélo Vogue: The Jolly Green Bike Lane! 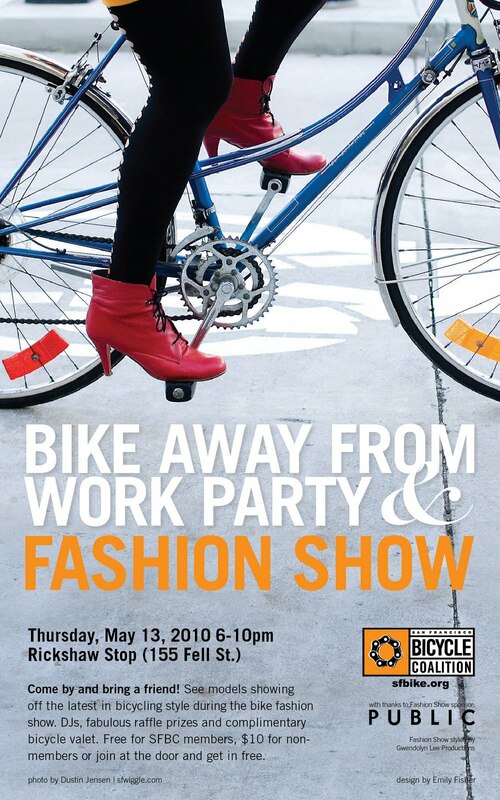 Happy Bike to Work Day! Now is your chance to try out Market Street's new GREEN bike lanes! And DON'T MISS the Bike Away From Work Party & Fashion Show tonight at the Rickshaw Stop! Yours truly will be modeling some of Gwen's rad hand-picked outfits! it makes me so happy to see Green lanes have made it to SF! Thanks! Riding on the green lanes makes me feel so special and happy! p.s. thanks to the SF Bike Coalition for fighting so hard to paint our lanes green!